The sample is from a recent find of this rare manganese phosphate. 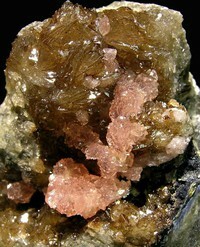 Its crystals are very well defined, have an excellent color and luster and are very big for the species. 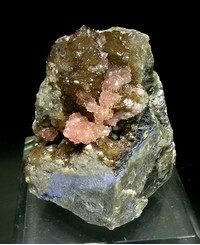 They are with pink crystals of Huréaulite.